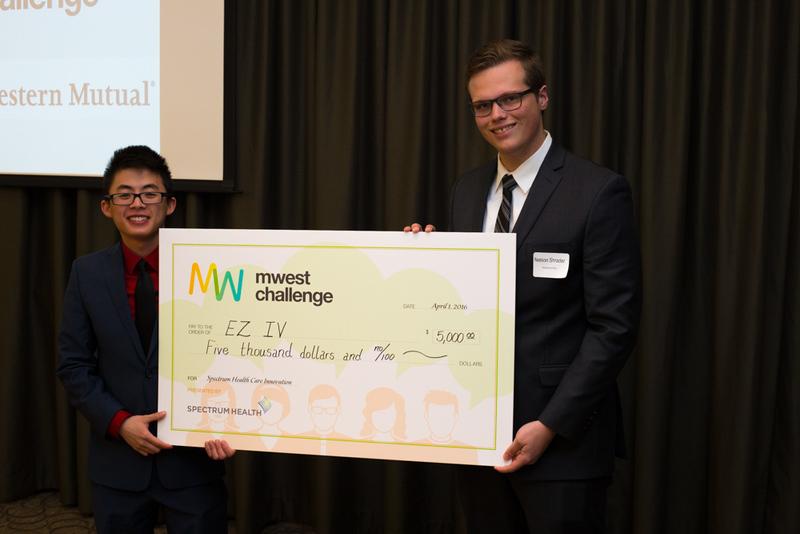 On Friday, April 1, 134 students from colleges and universities across West Michigan gathered at Grand Valley State University’s Eberhard Center to compete in the third annual MWest Challenge for a chance to win a total of $40,000 in invest capital. 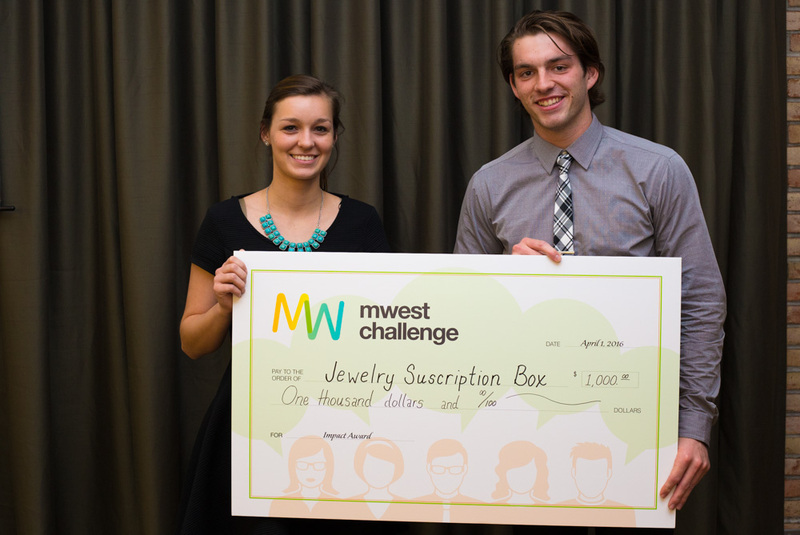 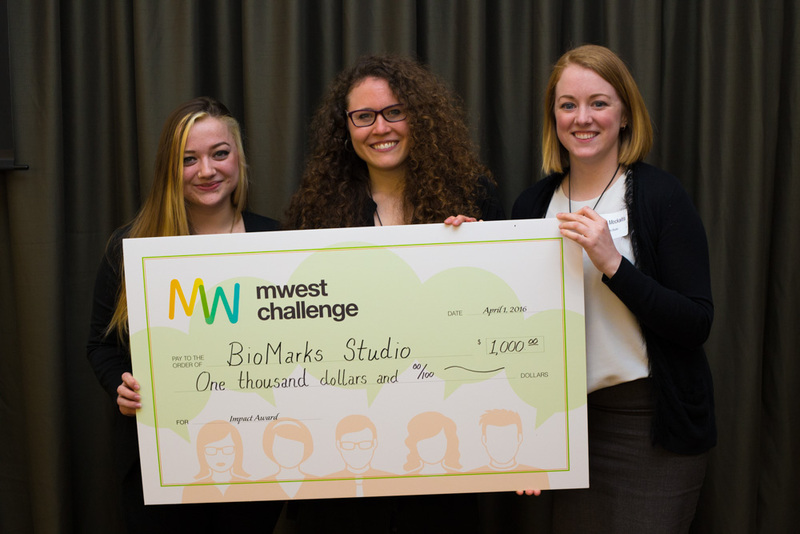 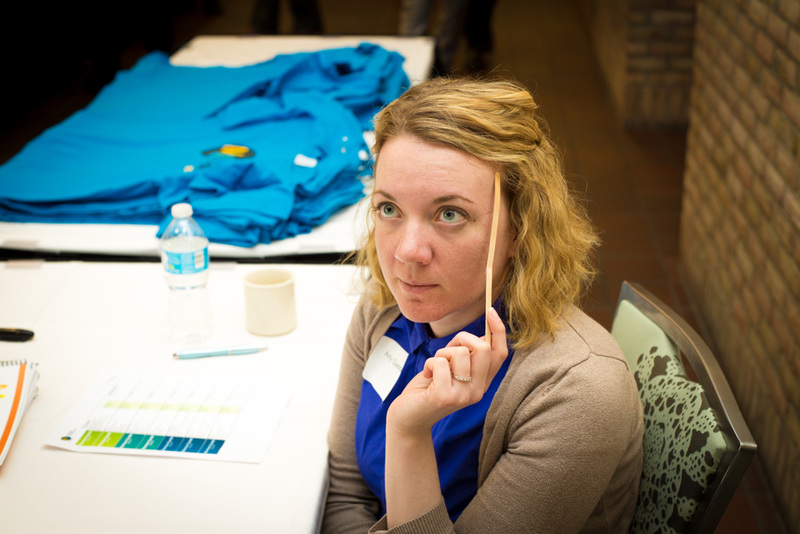 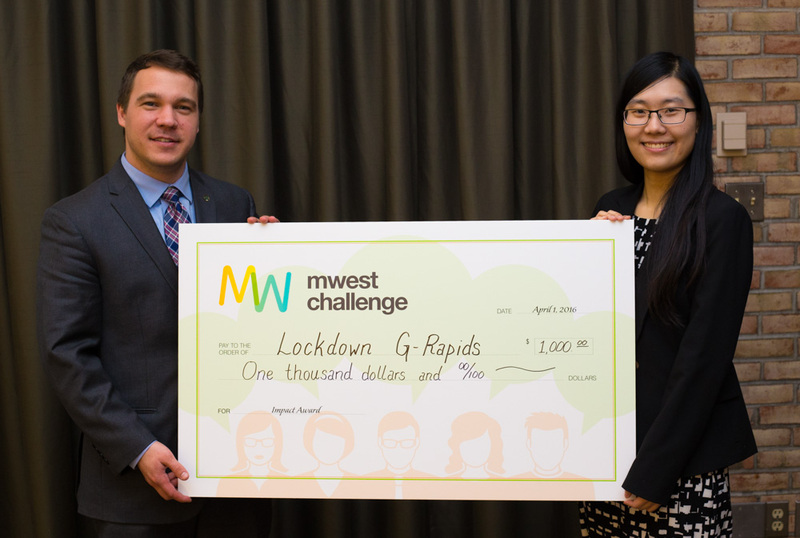 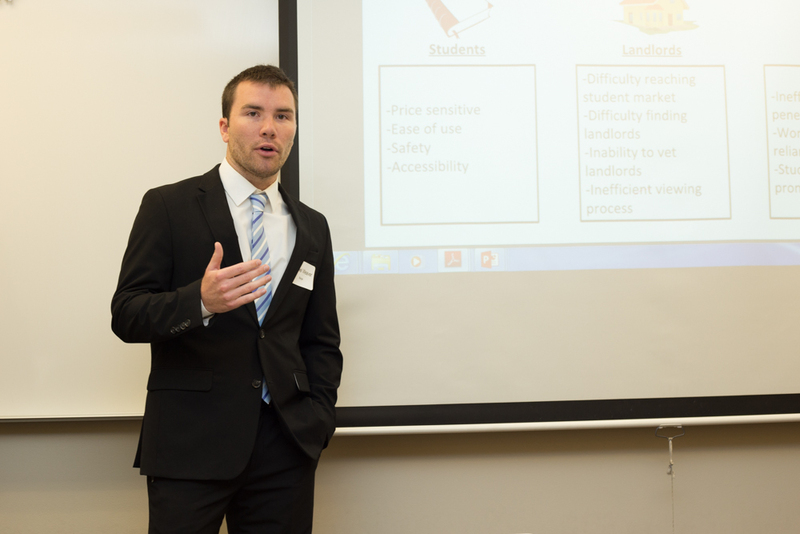 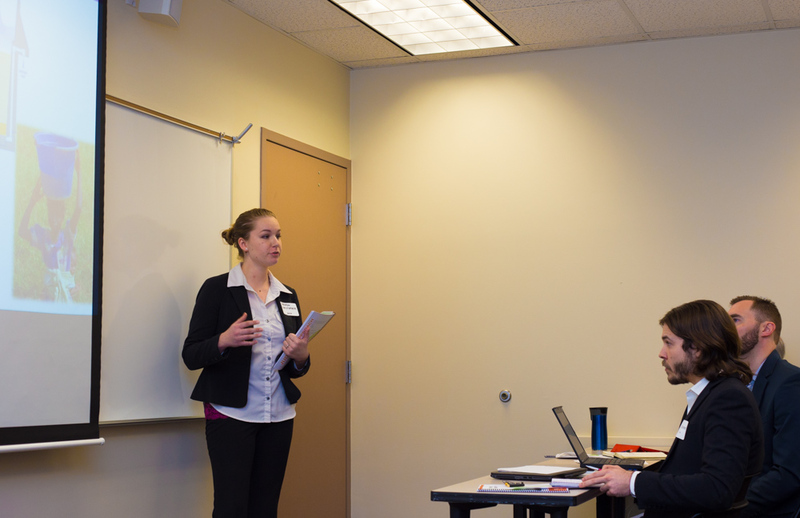 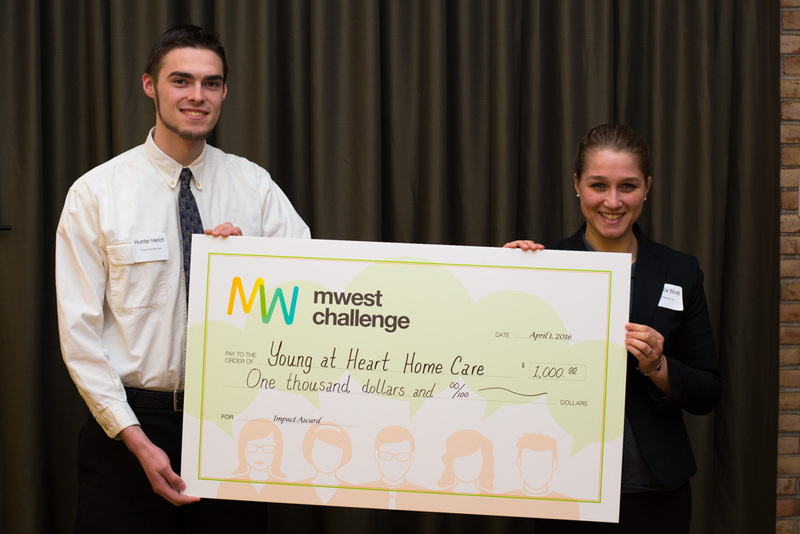 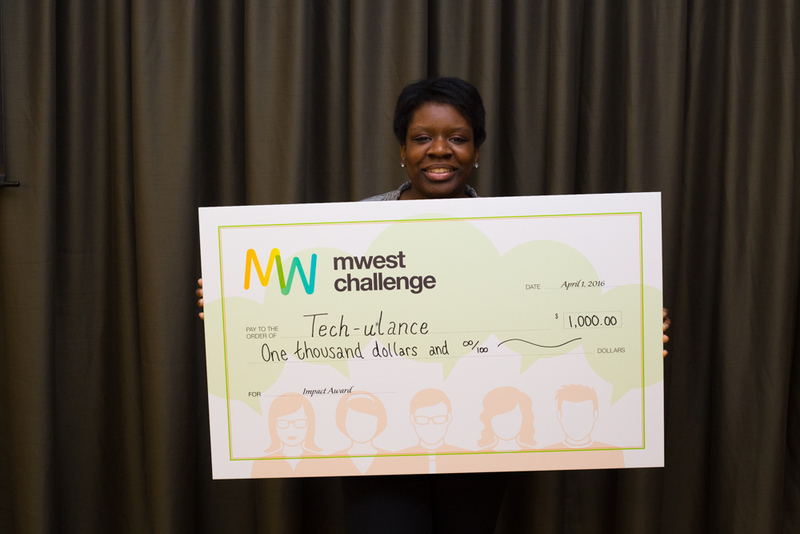 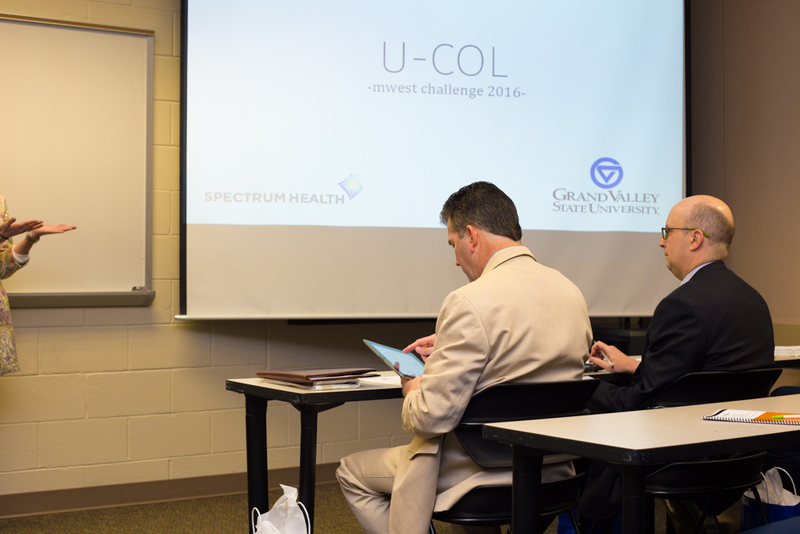 The MWest Challenge was first held in 2014 as a collaboration between the West Michigan Colleges and Universities Group (WMCAG). 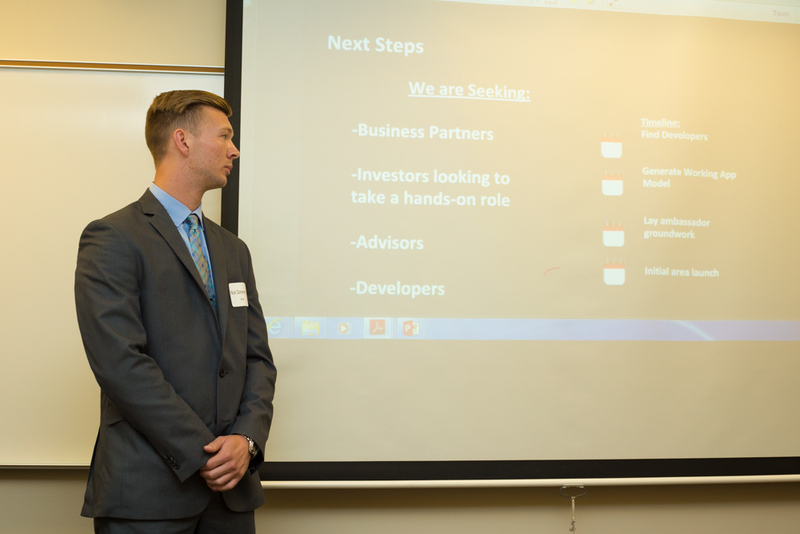 The competition aims to give students the opportunity to take their business ideas to the next level while receiving feedback from a panel of expert judges. 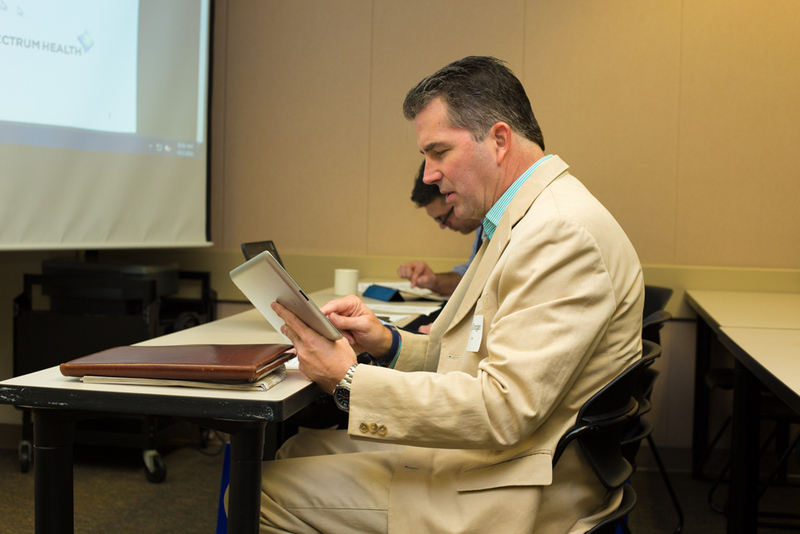 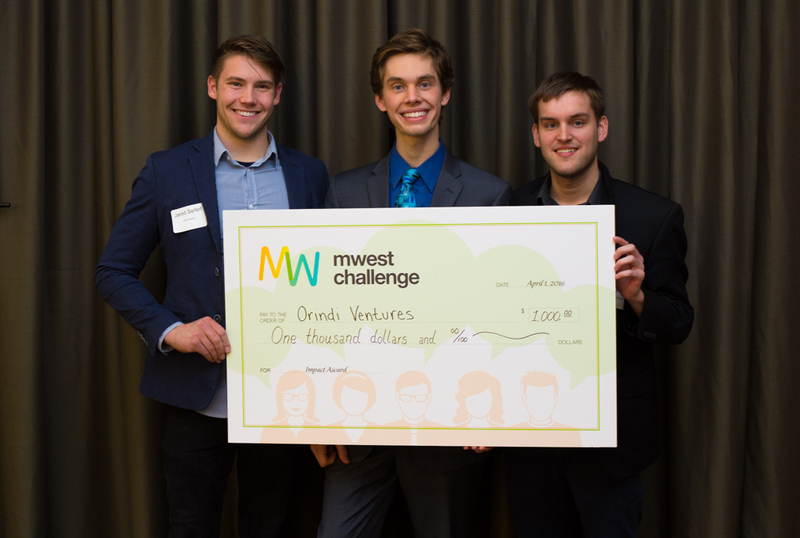 Kevin McCurren is Director of the Richard M. And Helon DeVos Center for Entrepreneurship and Innovation (CEI) in the Seidman College of Business at Grand Valley State University and helped to facilitate the creation of the MWest Challenge. 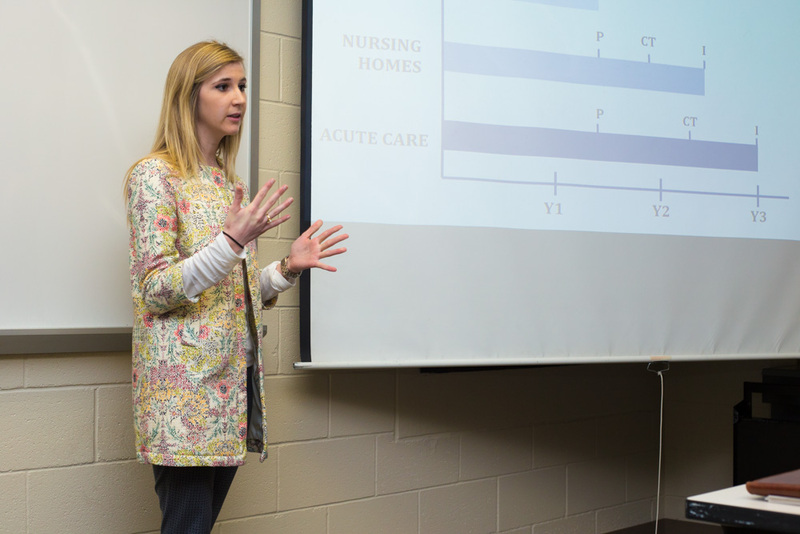 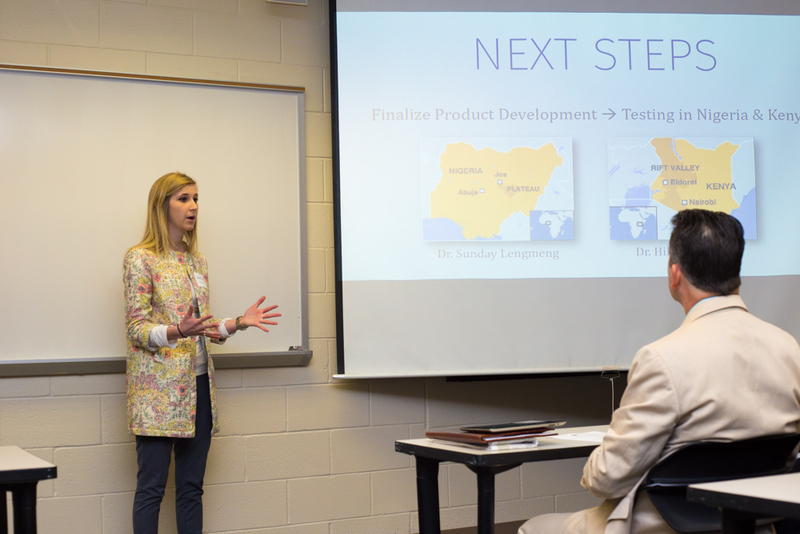 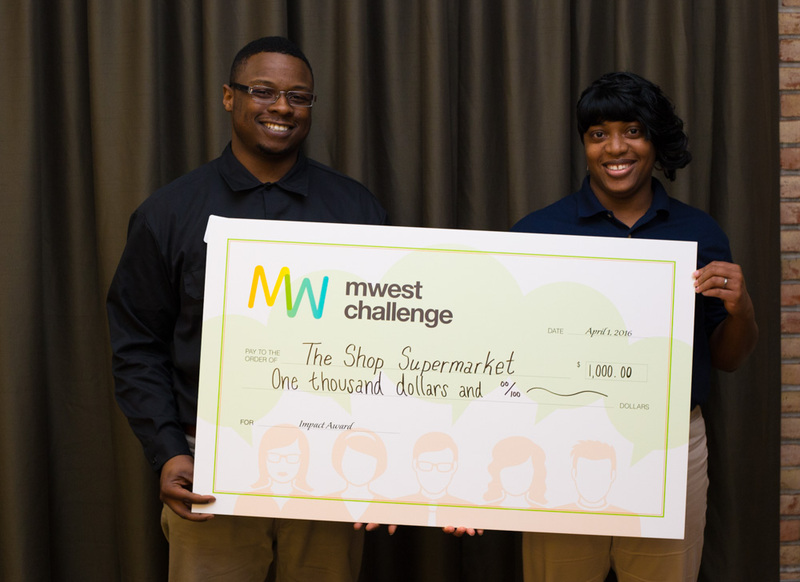 “They (WMCAG colleges) started doing their own business competitions, then everyone would send their winning teams to a regional competition,” McCurren said. 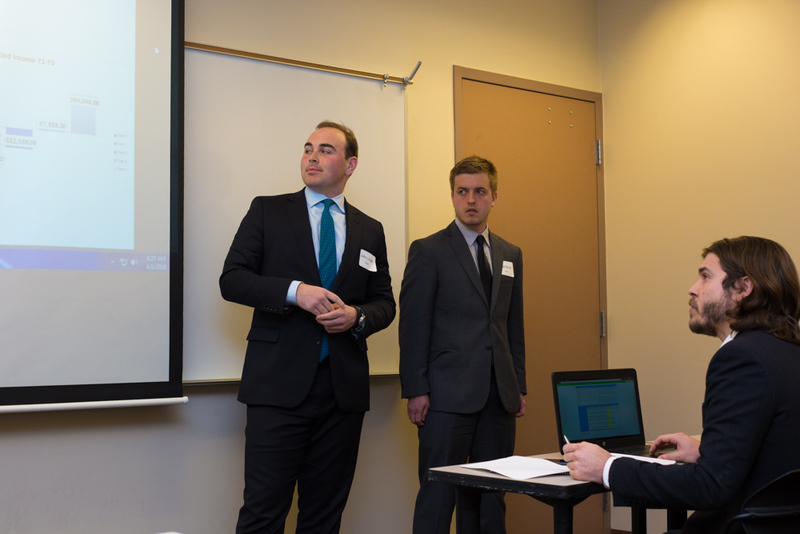 This made for scheduling conflicts and a lack of opportunity across the colleges; not all of the schools have equal resources, so certain colleges persistently dominated the final regional competition. 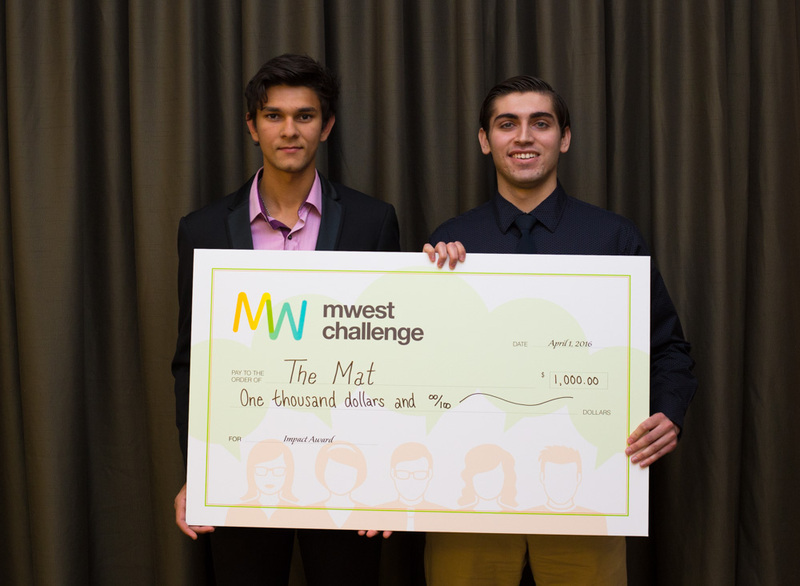 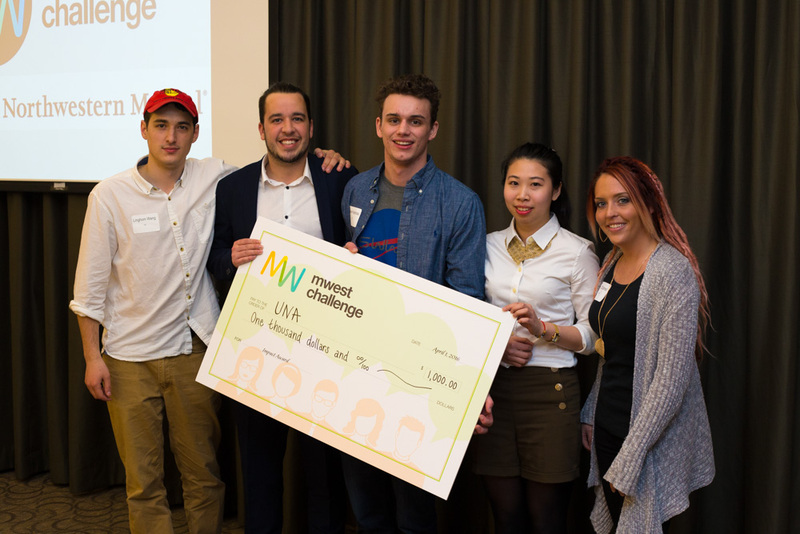 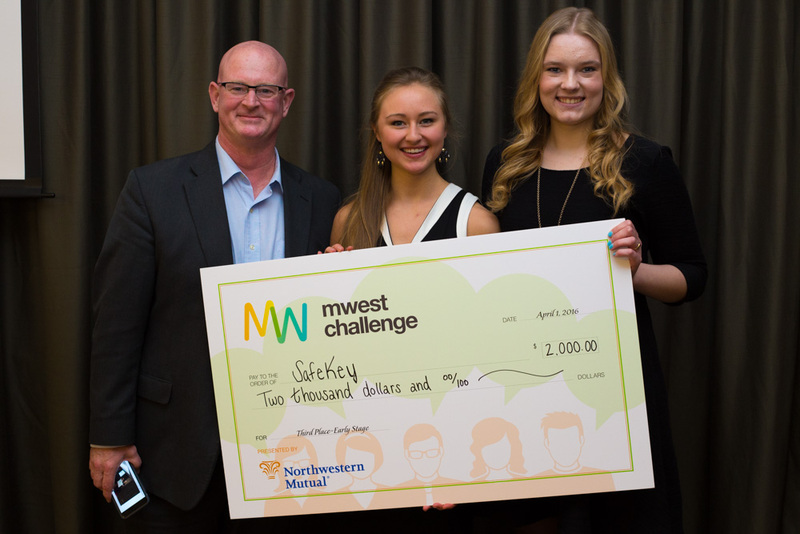 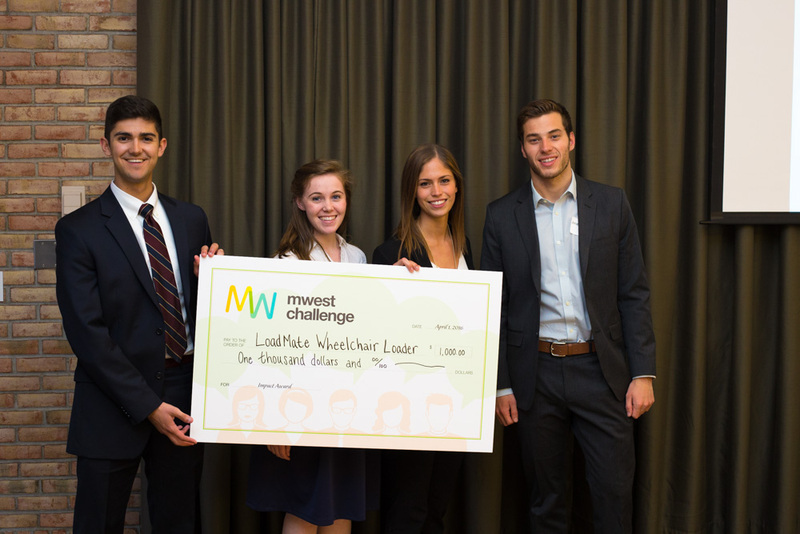 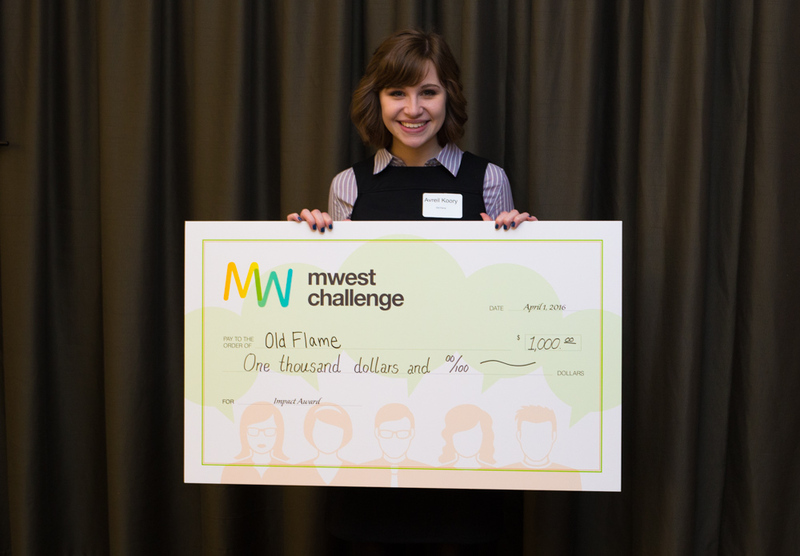 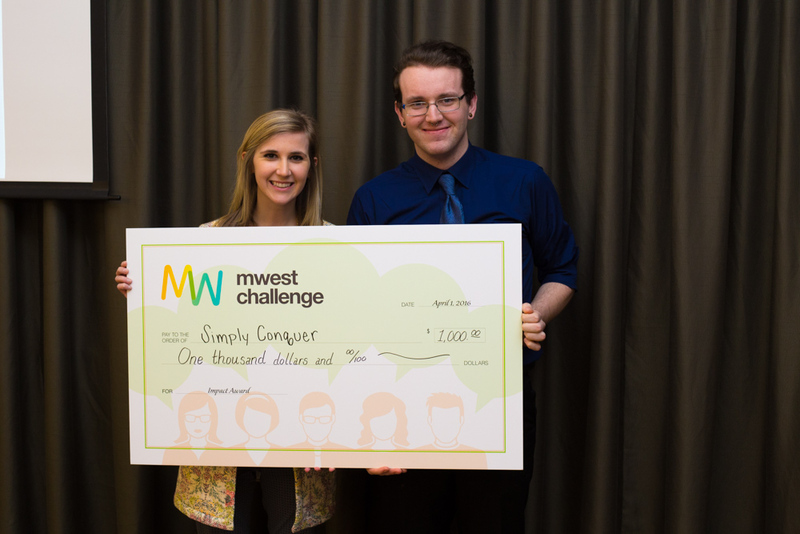 The MWest Challenge addresses these issues with a single competition that allows for students from the different colleges to collaborate, provides free entrepreneurial workshops to participants and creates awareness by bringing in sponsors and judges from the community. 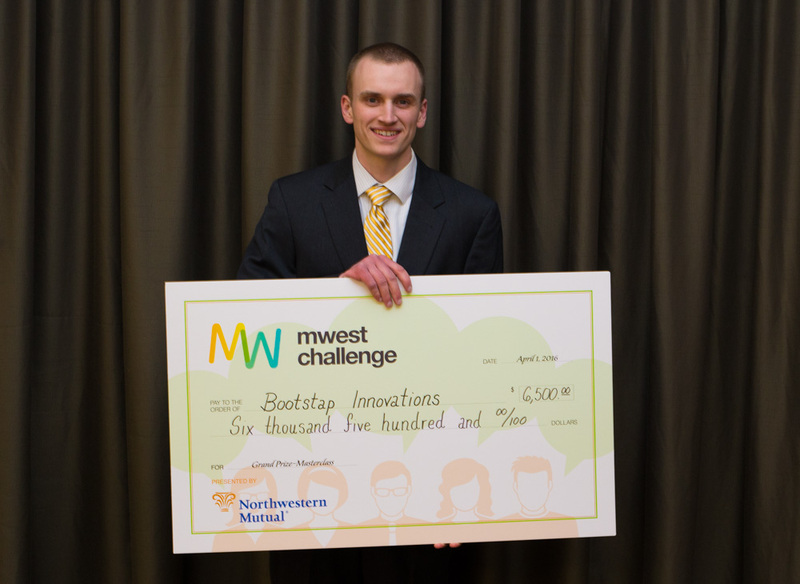 Corey Oosteveen is a product market manager at Open Systems Technologies in Grand Rapids and served as one of twenty five judges. 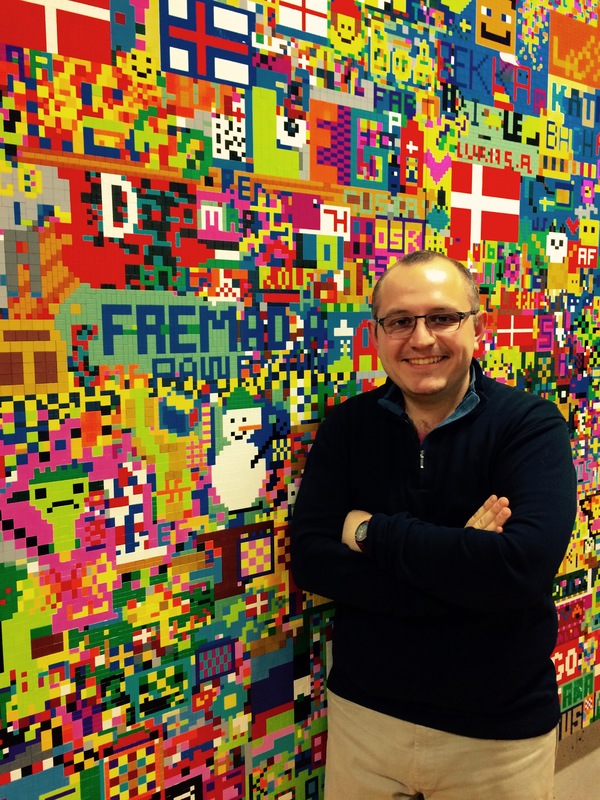 Oosteveen is an entrepreneur himself and has started several companies in variety of areas, including web development, consumer wearables and robotics education. 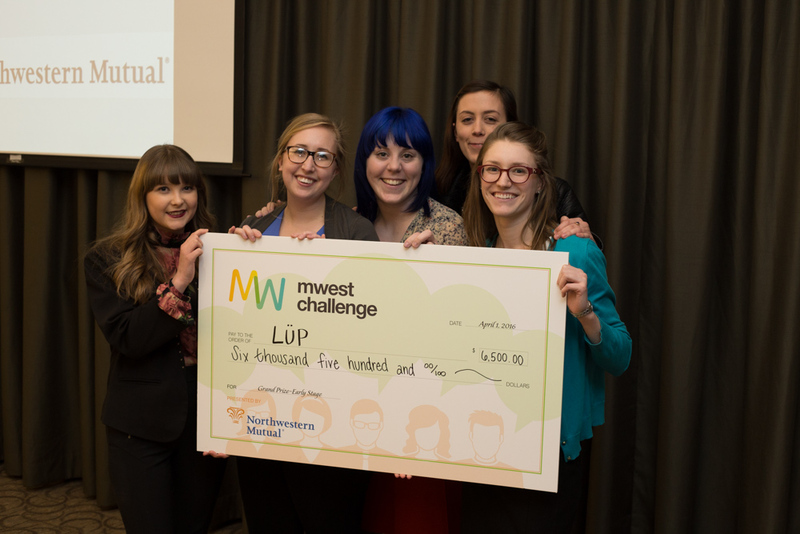 Many previous winners and participants have gone on to successfully incorporate their businesses, achieve sales and raise thousands of more dollars in investment capital. 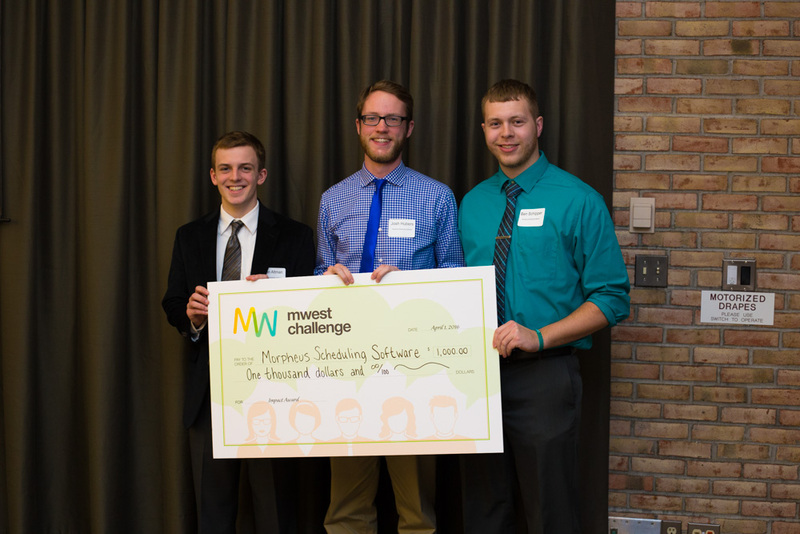 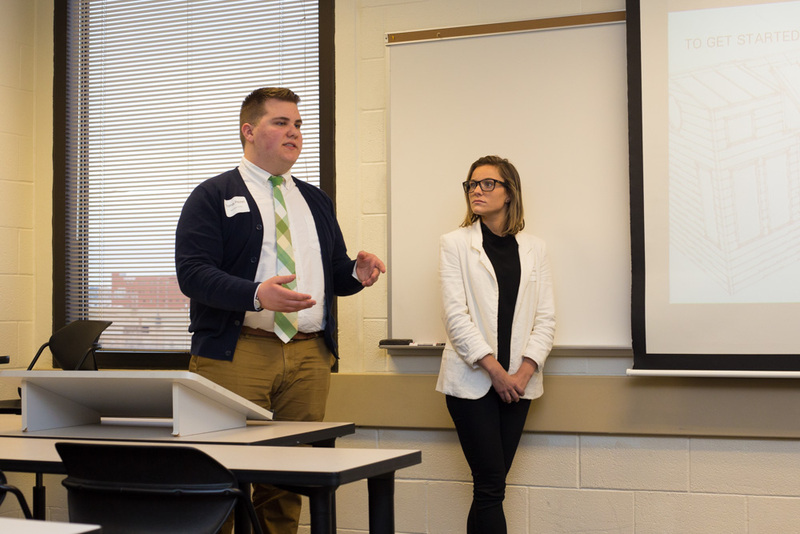 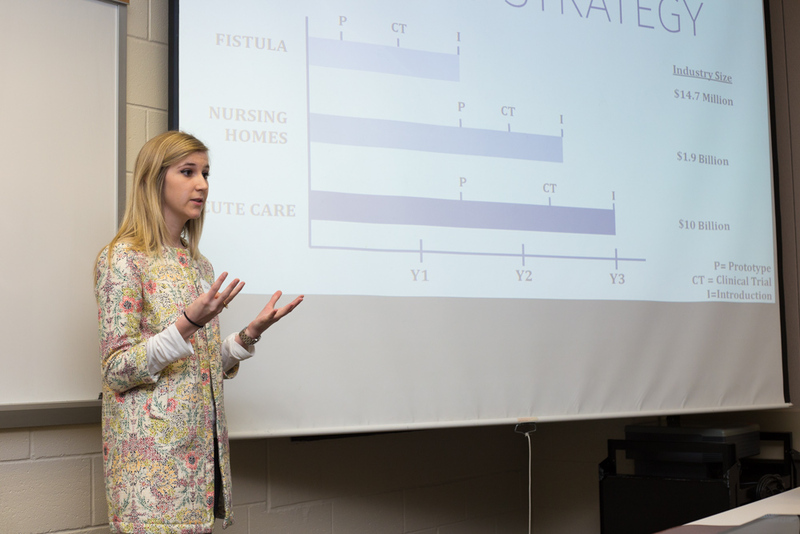 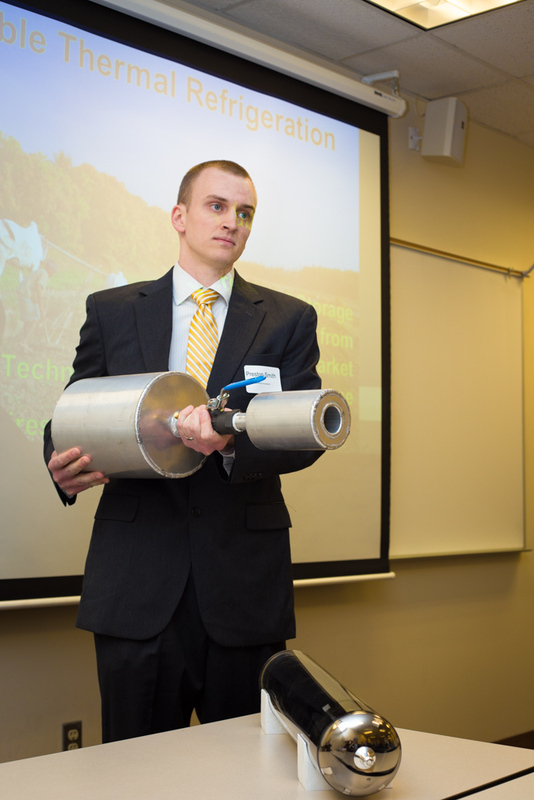 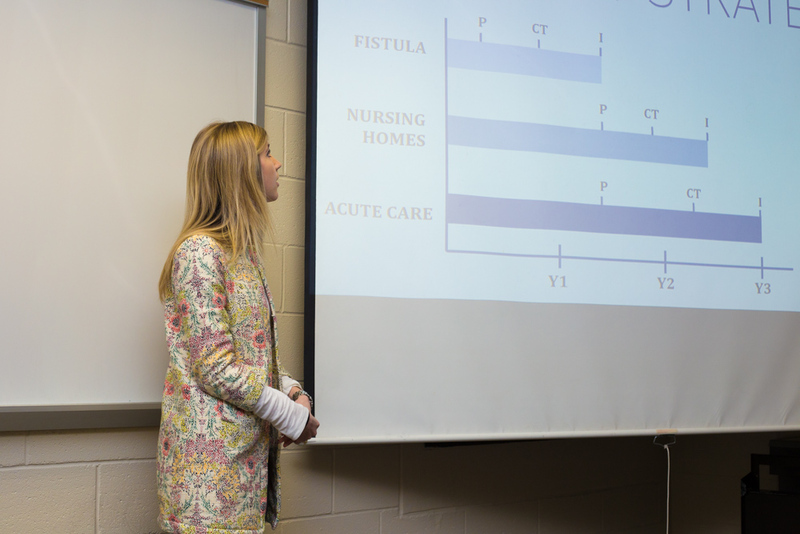 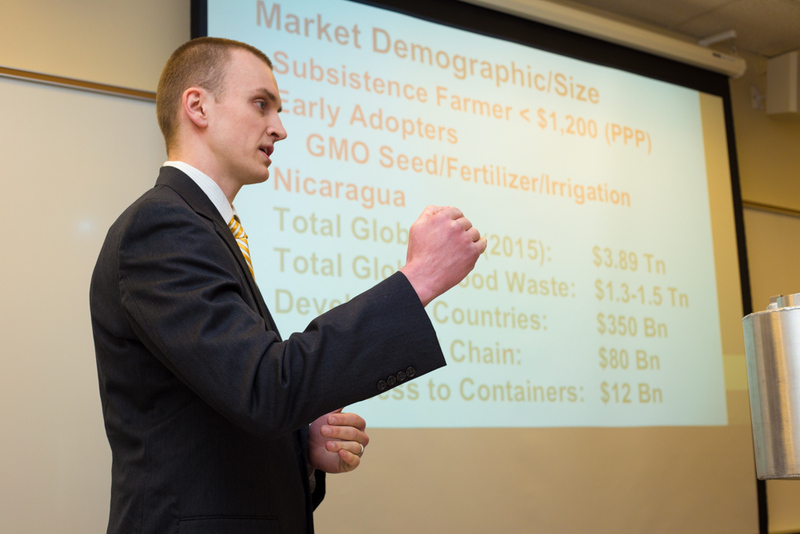 Jordan Vanderham, a sophomore engineering student at GVSU, returned to the competition this year after winning $1,000 in last year’s Idea Pitch category. 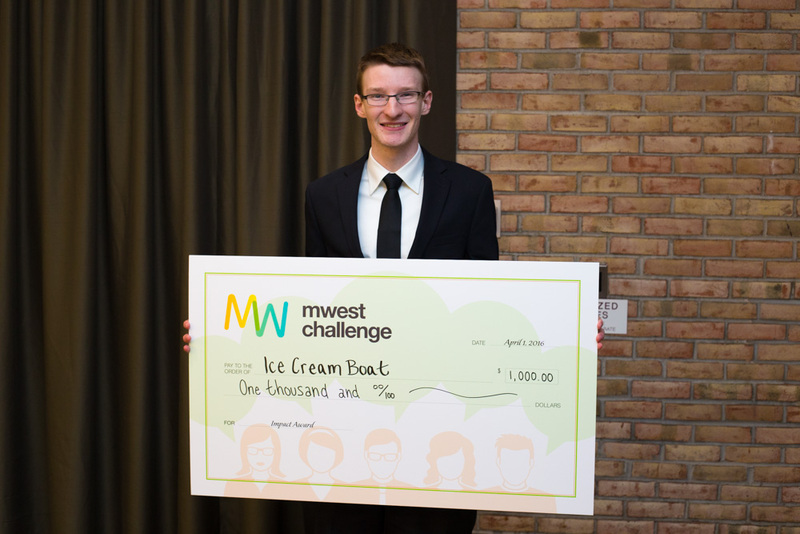 He has since won upwards of $25,000 at business competitions across West Michigan. 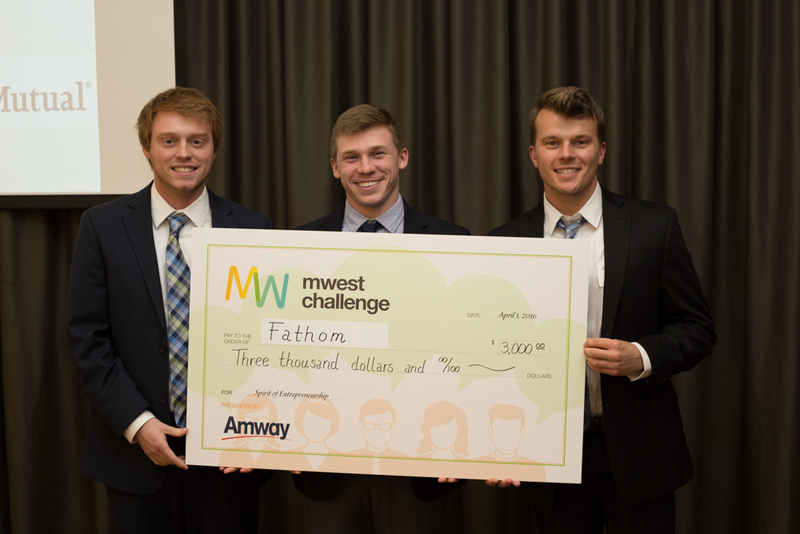 This year, the cash awards were broken up into five categories: Northwestern Mutual Masterclass, Early Stage, Amway Spirit of Entrepreneurship, Spectrum Health Innovation, and Impact Awards. 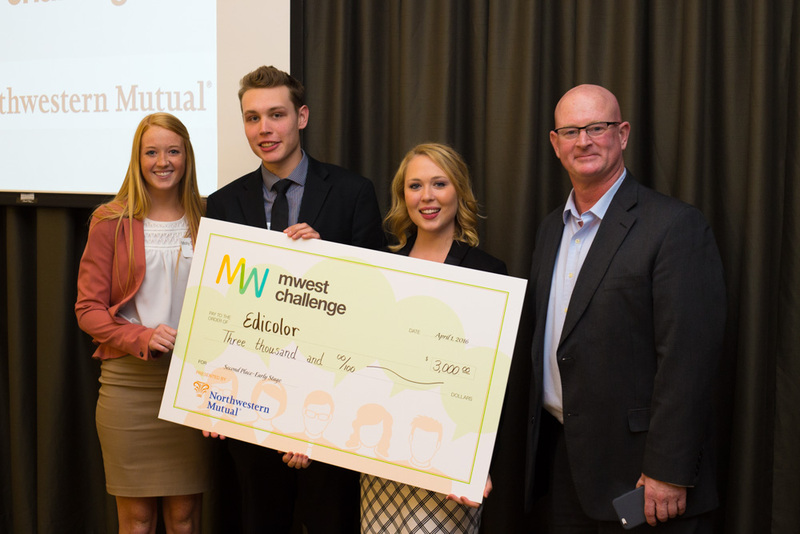 With 54 teams presenting, the range of awards is intended to address the fact that not all of the teams are going to be in the same stages of development; the Northwestern Mutual Masterclass Awards are $6,500 each and are awarded to those who are in the late stages of development, perhaps having a prototype or ready to produce one, while the Impact Awards are $1,000 each and are intended to help the receiving teams further develop their ideas. 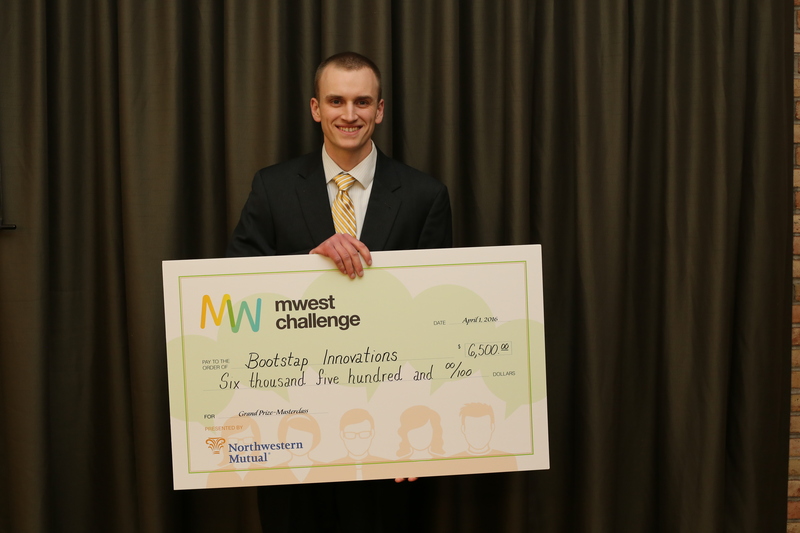 Preston Smith of Bootstrap Innovations received one of the Grand Prize Masterclass awards. 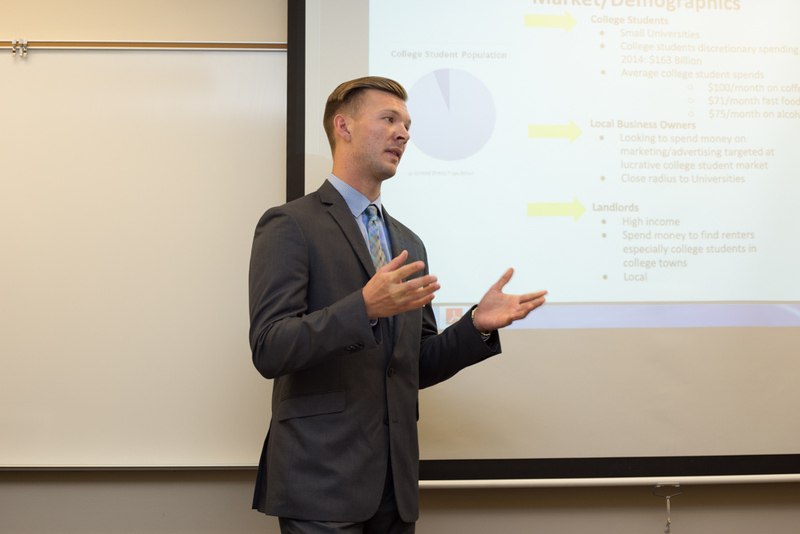 Smith is a senior finance major at GVSU and a veteran of the war in Iraq. 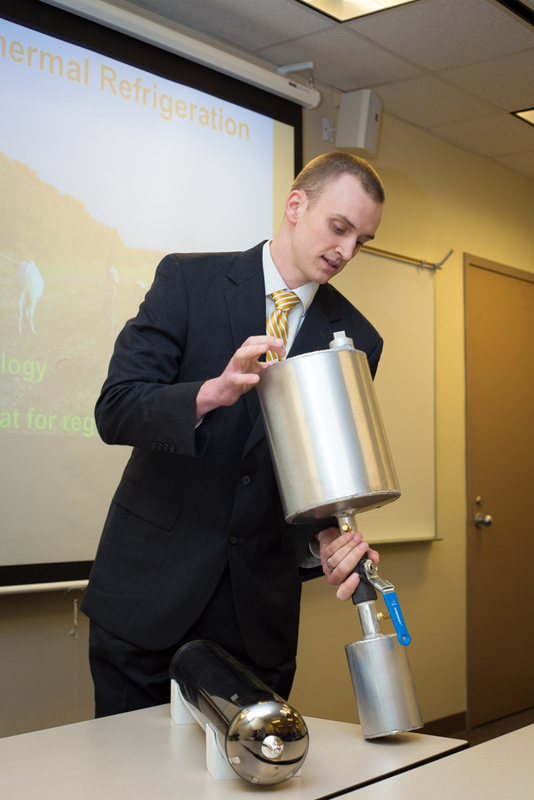 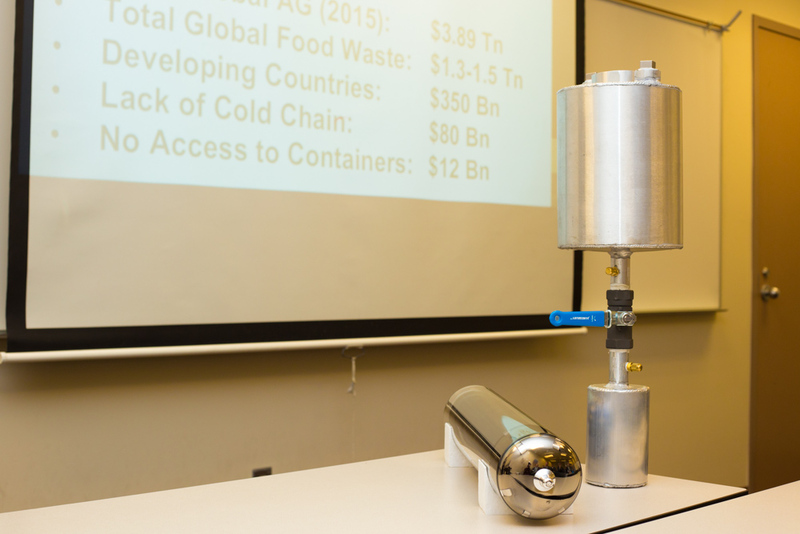 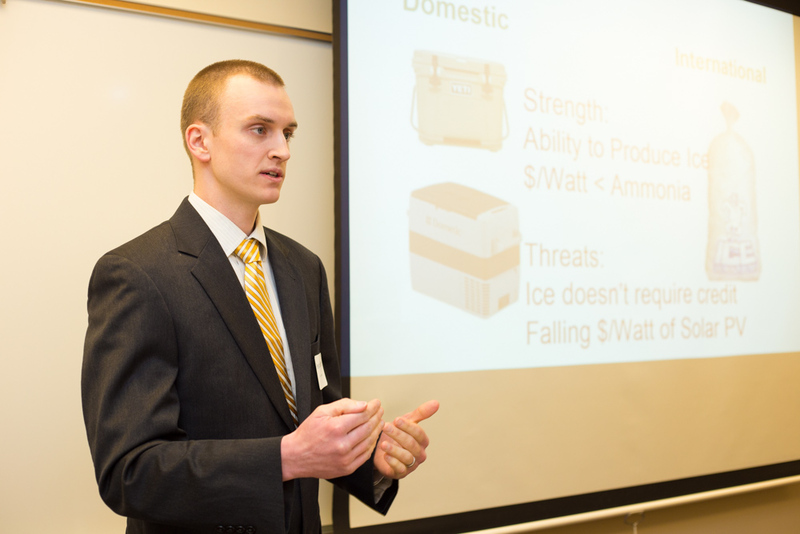 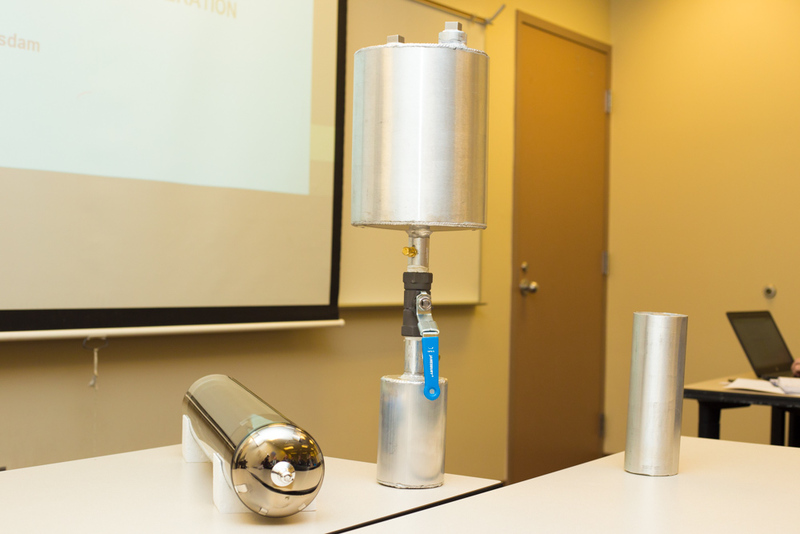 He and his business partner, Daniel Diem-Rylaasrdam, have developed a portable thermal icemaker geared towards rural agriculture communities that don’t have access to electricity. 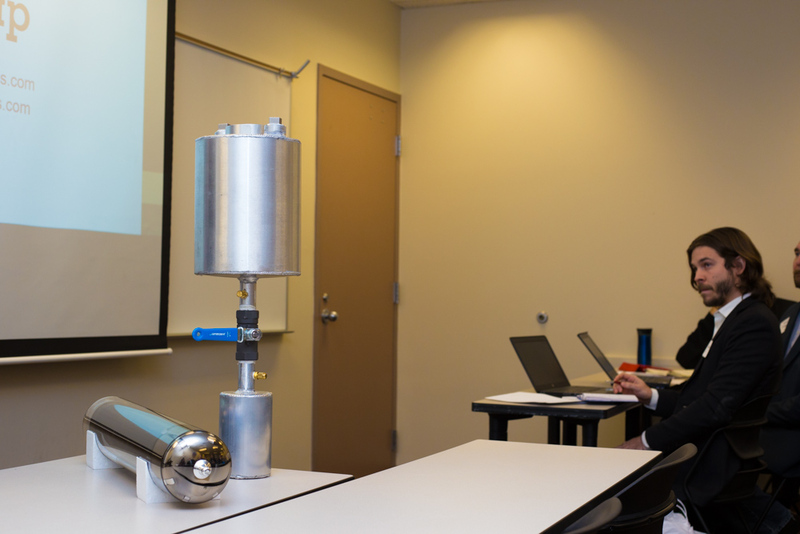 Smith had a working prototype with him at the competition.